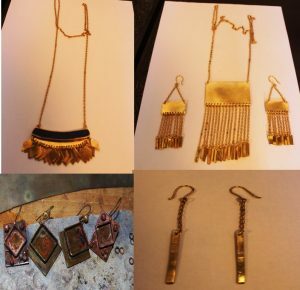 Handmade Jewelry has been common in Afghanistan since ancient times but this craft has recently developed and at present jewelry is taking place in modern form by ladies. 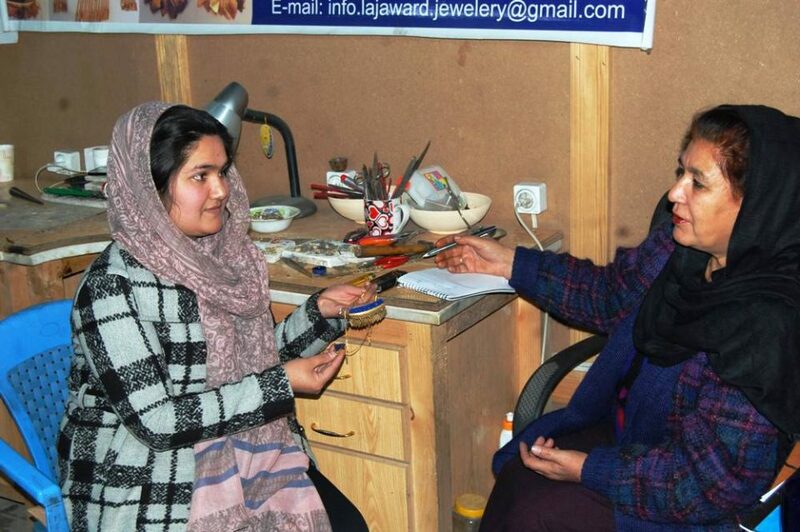 In a conversation with The Kabul Times reporter, chairwoman of Lapis Lazuli Company Masouda Sherdel Kohistani said, nine years ago, I watched one of TVs in which ladies were involved in ornamentation and jewelry. It caused me to become enthusiast of ornamentation. Beside school, I worked in Noor Company in the field of ornamentation for seven years. Ms Kohistani added, in consultation with Ustad Fawad, I referred to Ferozkoh Foundation and after passing exams, now I have a Lapis Lazuli company. She added, my shop was very big and majority of Murdad khani women and girls contacted for ornamentation and currently Atefa Jan and Sayeeda Jan help me in jewelries. Beside being a jeweler, I design jewelries and I got plenty of projects through Ferozkoh. I have designed over 20 chains. Every day I make a new design. I like my designs to narrate a sweet story of the past times. Talking on new styles, she said, currently I have undertaken a style which is different from others. I change ancient jewelries to modern. I am inspired by nature, mountains and rainbow. I made one design from rainbow and the other one from ancient doors in Parwan. Whenever I see an ancient object, I change its design. I use precious stones of Afghanistan. We make three kinds of jewelries. Most of our customers are foreigners. We use silver because our customers preferpurchase and buy jewelries made from silver and Lapis Lazuli. MsKohistani went on to say, we display our designs beside Ferozkoh, in Serena Hotel. We send all our designs to our donor Artisan Fox. So far I have participated in over 200 local and foreign exhibitions including six exhibitions in India plus several others in US, UK, Canada and other embassies in Kabul. But we had plenty of customers in India. I take all my equipments and instruments to every exhibition. Exhibitions are organized by USAID and US embassy for improvement of women business. She added, if we get silver plate machines, the prices would decrease and large number of people would effort to buy jewelries. Talking on her urgent problems, she added,insecurity is our first and key challenge.